Translating and protecting IP has never been a simple task. It takes a deep understanding of language, science, and law, in many countries and governments. Fortunately, you now have an expert on your team with MultiLing: the premier provider of global IP translation. Using advanced artificial intelligence, we are using automation to speed the translation process. Learn how. Our unique process and automated workflow helps improve quality while keeping you up to speed. Join us at the latest industry events or find out when we’re in your neighborhood. Streamline the workflow with MultiLing technology. Initiate both translation and validation with a single instruction. 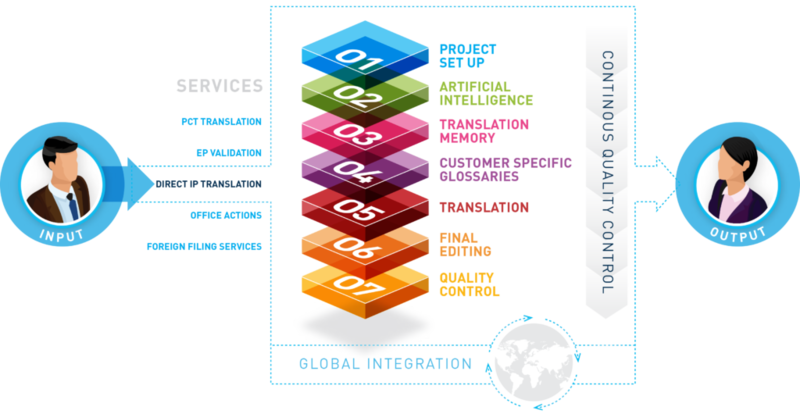 Trust our team of translators specializing in legal documentation. Reference quality translation speeds translation of prior art. A large multi-national consumer goods company was faced with reduced budgets and needed to cut foreign patent filings. Working with MulitLing, they were able to cut costs instead, doubling their filings. The best way to see how we can help you is to start the conversation.